Sashimi bowl can be eaten during weekdays lunchtime only. 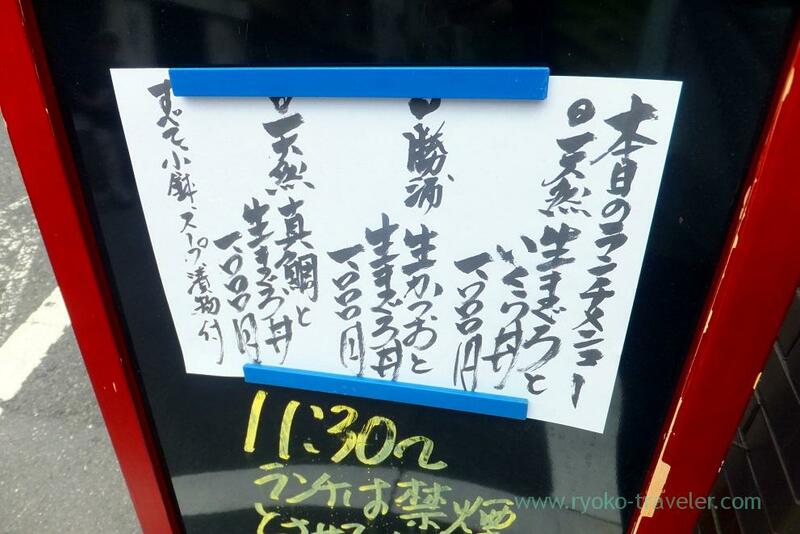 Recently Hajime Sengyo-ten is always busy at lunchtime. 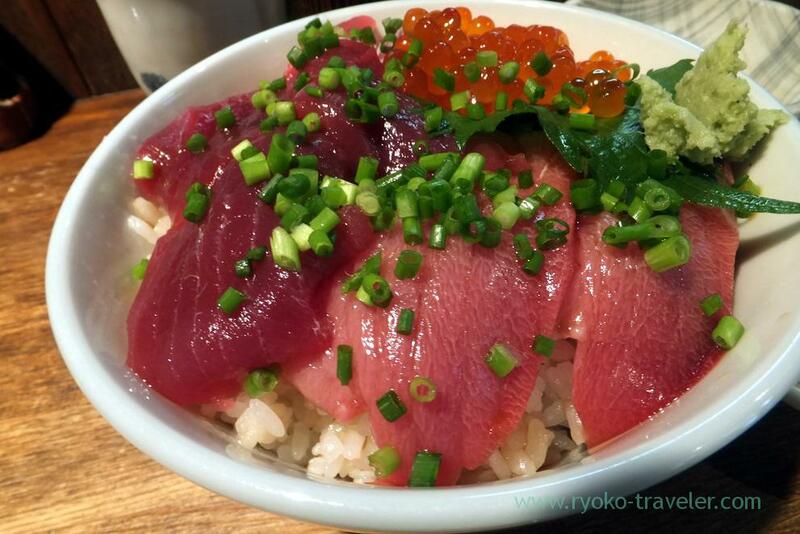 I think they serve the most splendid sashimi bowl within 1000 yen in Tsukiji area. That day’s lunch menus. All 1000 yen. 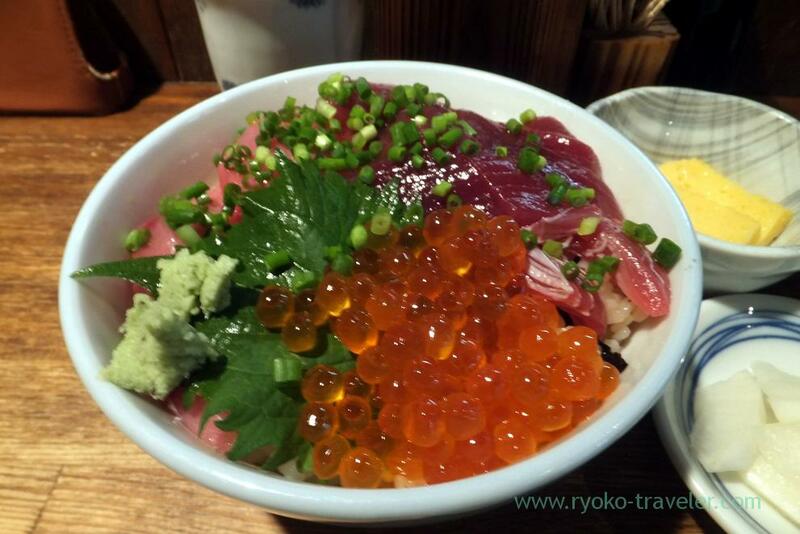 1.Wild-grown tuna and salmon roe bowl. 3.Wild-grown red sea bream and tuna bowl. 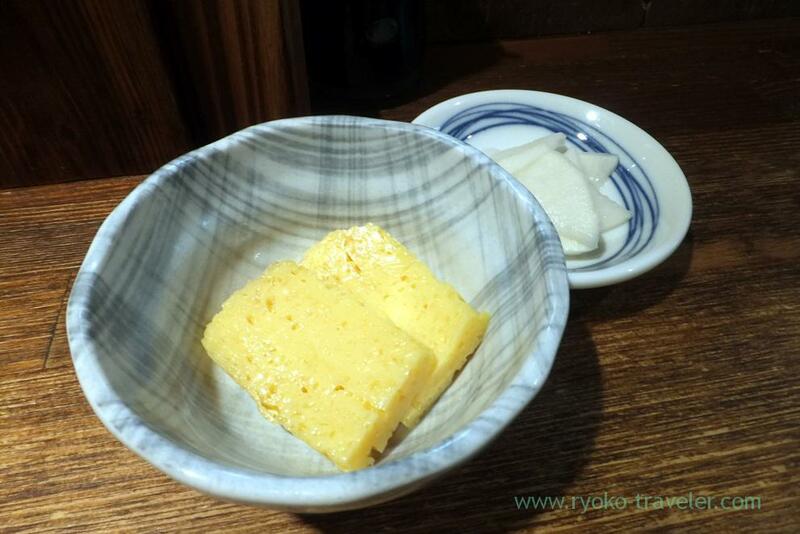 I chose Wild-grown tuna and salmon roe bowl (天然生まぐろといくら丼, 1000 yen). This is my bowl. The menu didn’t say anything, but there was lean meat and toro meat of tuna. The salmon roe was good though it seemed to be preserved one.